When you are looking for a computer; the monitor is not always on the list of what to check. With the number of people that buy laptops where it is just built-in; this is understandable to a point. However, when you are building a desktop computer, what monitor you are getting deserves some consideration and shouldn't buy just another computer monitor and throw it on your desk. After all, it is what you will be staring at during the time when you use your computer. And that’s why a good monitor is a must to protect your eyes and to get the best viewing comfort. Now, there are plenty of monitors out there from different brands and choosing comes down to the few things that you need to look for. Resolution – Obviously, when you think about a monitor, size and where you are putting it would be the first consideration. But just as important is the resolution of a monitor; otherwise known as how many pixels it displays. For example, 1080p monitors are what is most common. Panel Type – There are basically three types of monitor panels that are available which are TN panels, IPS panels and AMVA panels. The TN panels offer the fastest response time and the highest refresh rates. That’s why this type of panels are good for gaming. But the viewing angles of TN panels are very narrow. That is where IPS comes in. IPS stands for in plane switching. It offers users wider viewing angles and bolder colors. It does this because it allows more light to pass through the panel. This can result in a glow along the edges and corners of the screen; this is entirely normal. Last but not the least is the AMVA panel. ​Manufacturers tried to combine the good of both TN and IPS panels and came up with AMVA. Although it's still not quite there yet but it's not bad either. Available Ports – You don’t want to end up buying a monitor that doesn’t have the ports you need. You should always check for the available ports. Most modern monitors come with Display port, DVI port and HDMI port. Some of them might have VGA port as well so make sure you check that out from the product page if you need VGA port. 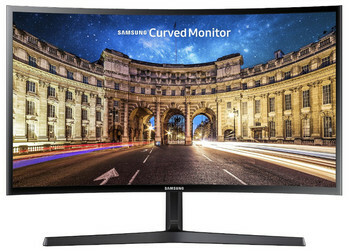 Now let’s check out the reviews of the best 27 inch monitors under 300 dollars price tag in 2019. The ASUS MX279H has topped out for some obvious reasons. The first one is that it has a three year warranty with two way free shipping if something goes wrong with it. The second reason is the premium build quality with eye catchy design. Also this monitor is mac compatible if that is something you need. The MX279H won Good Design Award for it’s ultra thin built as well as the thin bezel. As for the ports, it features dual HDMI port, D-Sub, DVI-D ports and an audio port. It also has two Bang and Olufsen ICEpower speakers at the bottom that produces pretty impressive audio. 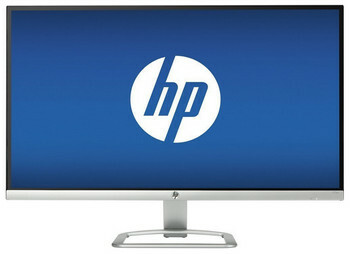 Overall we consider it to be the best 27 inch monitor under $300 dollar price that you can buy. However, there is one flaw with this monitor is that the power adapter cannot get lost. It does not work with any other cord which means you have to buy the same one again from Asus. So, this isn’t the first choice for people who move around a lot but still it is one of the best 27 inch monitors under $300. 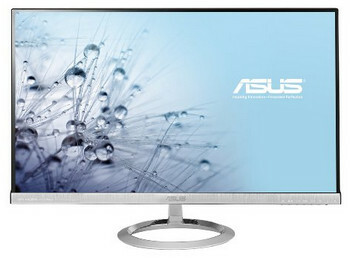 We also recommend that you check out the 25 inch WQHD version of this Asus monitor with a much higher resolution of 2560×1440 and Eye Care technology. It costs a few dollars more but the sharpness and the viewing comfort will be much better than the 27 inch version. 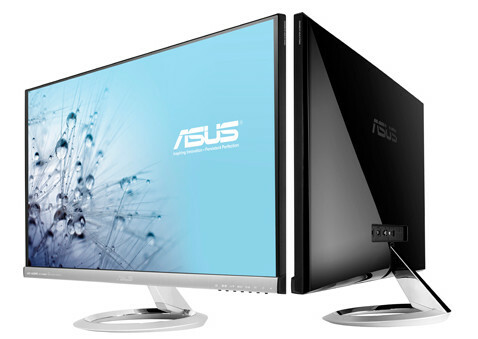 This monitor features amazing angles because of its IPS and diagonal screen. This enables an awesome viewing angle from anywhere. Its black and silver colors enhance the thinness of this monitor. The stand design provides easy access to both the VGA and dual HDMI ports. It also features the same 1920×1080 resolution. The contrast ratio of this monitor is 5,000,000:1 which will deliver sharp images with richer colors. It comes with anti-glare which means there wont be much of annoying light reflection. The monitor can be tilted from -5 to +25 degrees. There is easy button controls too and the menu is surprisingly easy to navigate; that needs to be noted since many monitors fall short there. It is also Mac compatible if that is a concern for you. With just 6.3 millimeters at its thinnest point, this monitor is one of the thinnest monitor that you can buy. It does come with a limited one year warranty from HP. Finally, at the time of this writing, it is slightly cheaper than the previous ASUS model listed above but just as good. 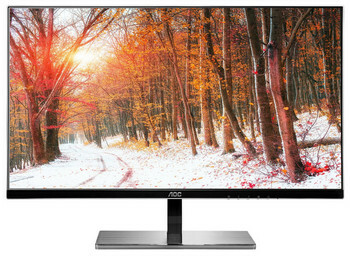 The third monitor on our list is the AOC i2777FQ. This monitor with ultra thin bezel will look great on your dest or on the wall as it supports wall mounting. With the 5ms response time and 60hz refresh rate this monitor is suitable for console or mid-range PC gaming as well. Speck-wise it’s very similar to the Asus model. 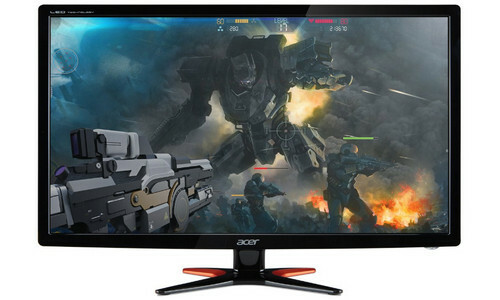 AOC is known for some pretty sleek looking monitors and this is no exception. But it’s now just design that great about this monitor. 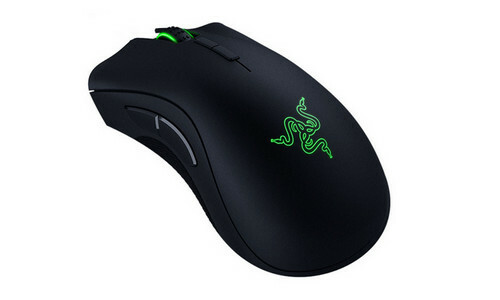 It comes with 5ms response time and for an IPS panel 5ms is sometimes better than a 1ms response time TN panel. Although it’s a 60hz monitor, it can be overclocked to 75hz making it a good choice for gaming. The monitor comes with VGA, Displayport, HDMI and HDMI- MHL ports for easy connectivity. 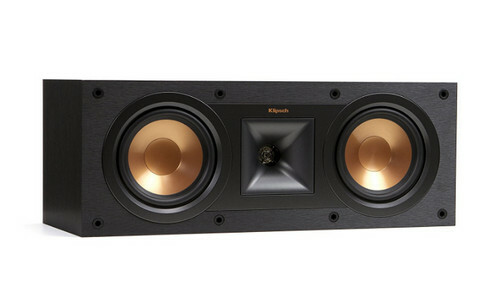 It also has two 3-watt speakers but those are just average quality. It has easy wall mounting options and all you have to do is buy the proper accessory that is listed in the user manual. The first thing to notice about this monitor is regardless of any of these are on sale or retail (all of them so far are listed on sale at Amazon as of when I wrote this…); this one is quite a bit more expensive than the other two. A lot of people are looking for what works for the cheapest; but not necessarily everyone. So let’s take a look and find out why it is a little more expensive. This monitor is not compatible to be wall mounted. There are dual built in speakers. Most importantly, and why it has a bigger price tag is because it has a curved screen. 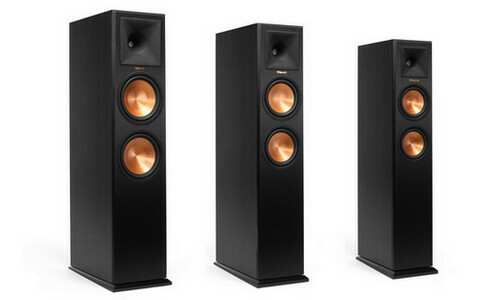 There is also a capability of deeper reds and deeper blacks than with the cheaper monitors. Between that and the curved screen, you should have a reduced amount of eyestrain if they are someone who is at the computer all day versus someone who just uses it an hour or two after work. The T shaped stand surely looks great from any angle. The great color saturation of this monitor makes photo slideshow or movies look immersive. It has an eye saving mode as well. As for connectivity, it has a display port and an HDMI port with an HDMI cable included in the box. Okay so there were the four monitors that were looked at. The one that I can rule out right away is the ASUS listed first. There was no feature in particular that stood out about it (other than the three year warranty but that only comes into play if it becomes defective anyway). The other three it depends on exactly what you are looking for. I am operating under the assumption that price is a big factor for a lot of who would be reading this. If getting the most for your money is your biggest concern: the HP wins hands down. Now if you need the eye saver mode and don’t want to spend the extra money for the Dell; you can try the Samsung, but be aware of the whites look yellow issue. 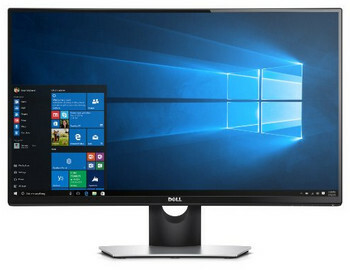 Finally, if you are going to be at your computer for hours on end on a frequent basis and are willing to spend a bit more on the monitor, my recommendation is the Dell. The curved screen and the deeper reds and blacks than you would get with a cheap monitor provide an enhanced viewing experience.